As we practice getting more willing to give loving attention to ourselves, we’ve become more adept at mastering commitment. An agreement is something made between one or more people. A commitment is an agreement we make with ourselves. Commitment simply means to gather together and take action. Many people, however, associate commitment with a burden or a disappointment. There’s a false logic that says “if I commit to something, then I can never veer from that agreement”, as if I am forever locked into a choice. Not true. As a conscious chooser, you may find an agreement you made in the past, no longer serves you or your interests presently. Another popular, yet unrealistic assumption is, “if I commit to something, I have to do it right 100% of the time, or I’m doing it wrong”. This inner judgement and illusion of perfection doesn’t sound like a healing move. Would you be willing to create friendly commitments that are easy to keep? Anytime we try something new, like creating a new commitment, we’re bound to mess up, get side tracked, or go unconscious and totally forget what we’re up to. We invite you to take a big breath, maybe 3 breaths, and be willing to mess up. Creating and therefore committing is messy. Commitment is crucial, however its only the first in possibly countless steps to bringing our intention to fruition. The skeleton key to unlocking easy transformation is re-commitment. And, for those of you who like to accelerate your manifestation potential, we invite you to recommit WITHOUT CRITICISM. So often we add criticism, blame, or otherwise punish ourselves when we don’t get “it” perfect or right the first time (or even the 20th or 1000th time). Studies into learning behavior and educational design demonstrate that punishment doesn’t contribute to learning in any significantly productive way. 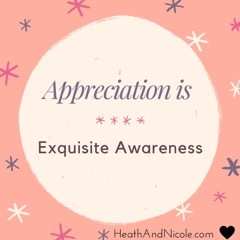 Rather celebration and appreciation fosters the greatest learning gains! Can you appreciate yourself for recommitting and trying again? There’s boundless potential when we let go of criticizing ourselves for not achieving our goals. Rather recommitting to what we want, without expending the additional energy of beating ourselves up, allows us to create more easily. If you’re like us, it may seem foreign to you to recommit without criticizing yourself for messing up. Though as Edison said, “I have not failed. I’ve just found 10,000 ways that won’t work.” You will change your life when you choose to practice recommitting without criticism. Place a hand on your naval and breathe into your chest, side body, back body and all the way below your solar plexus until you feel your belly rise. Exhale for about the same count and release every last drop of breath completely out. Repeat at least three times to begin to reorient your biology and psychology and notice other subtle or obvious shifts, inside and out. We recommend breathing in and out your nose, or if not accessible, breath comfortable through your mouth. Benefits: One of the quickest ways to shift out of pain, tension, or stress is to consciously change how we breathe. In fact, slowing our breathing rate to less than twelve breaths per minute has been shown to short circuit the fight-or-flight stress response. A great bonus with a 3-breath practice is it can be done anytime, anywhere. We regularly use it before, during, and following a session, and we often coach our clients to take long, slow, deep breaths, especially as we begin to approach areas of healing in their body. This helps shift from a guarding posture (like holding the breath or tightening muscles) to a more receiving posture (like encouraging a client to inflate or “breath into” where they are experiencing the most sensation or pressure). Always Great advice! Thank You for the reminder! I’d really appreciate being able to read your article without loosing the top 1/3 of the screen through all my scroll downs to the living metta banner and tabs. Thank you for good articles and considering making reading access to them more friendly.